CENTRAL TRAINING AREA, OKINAWA, Japan — All 10 Cub Scout packs from the Great Okinawa District participated in several activities during their “Who Done It?”-themed Okinawa Cub Scout Resident Camp here June 22-25. There were 87 scouts, 29 den guides and 20 volunteer youth and adult staff participating in the event. There were activities for everyone during the campout. The crime prevention, forensics, codes and mystery solving activities were all centered on the “Who Done It?” theme of the outing. Scouts also used craft kits to create and paint individual crafts. They also they glued dirt, rocks and other items onto paper to create pictures of natural scenery. Scouts honed their memorization skills by playing Kim’s Game. They inspected at least one dozen objects on a table for one minute. 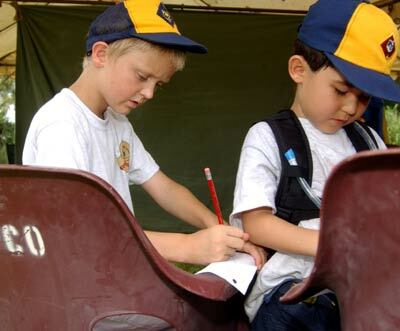 After the items were covered, each scout was challenged to write on paper as many details as he could remember about the items. The scouts also learned to whittle using a pocketknife. 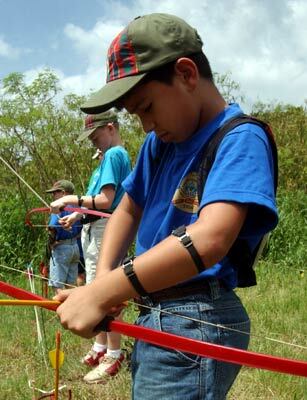 “The Whittling Chip is a card Cub Scouts earn when they have demonstrated they know how to properly and safely handle a pocketknife,” Meverden said. Camp “Who Done It?” was almost cancelled due to inclement weather conditions, but started only one day late instead, thanks to Marines and sailors aboard Camp Schwab, explained Jay Farmer, chairman of the Great Okinawa District. The campout was an enriching experience for the scouts. They were eager to learn and get things done, explained aquatics instructor Ashley Park. 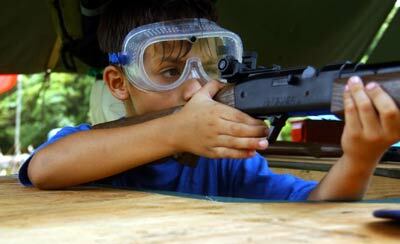 “This and other campouts of the sort give the scouts a chance to get together and have some fun while learning and earning awards that can only be received from district run camps,” Meverden said.